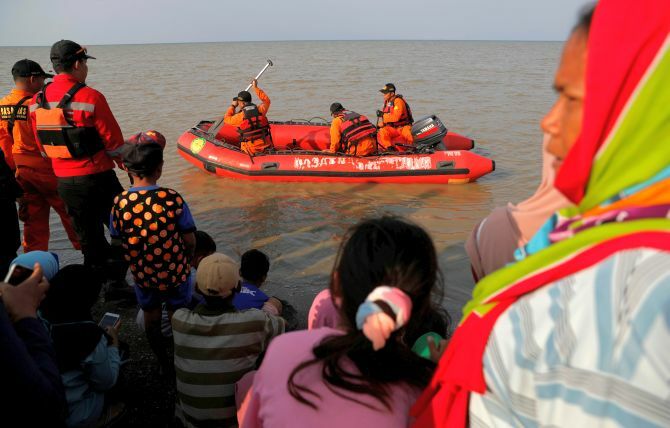 An Indonesian aircraft with 189 people on board crashed into the sea and sank on Monday soon after taking off from the capital, Jakarta, on a domestic flight to a tin-mining region, officials said. 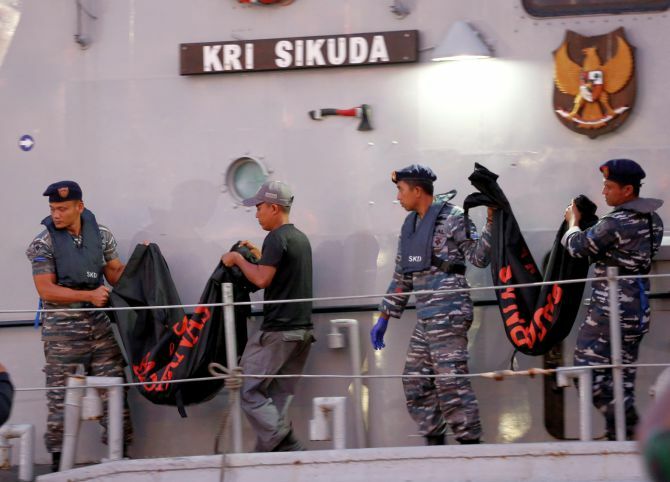 The country's search and rescue authorities said all the people on board were "likely" dead. 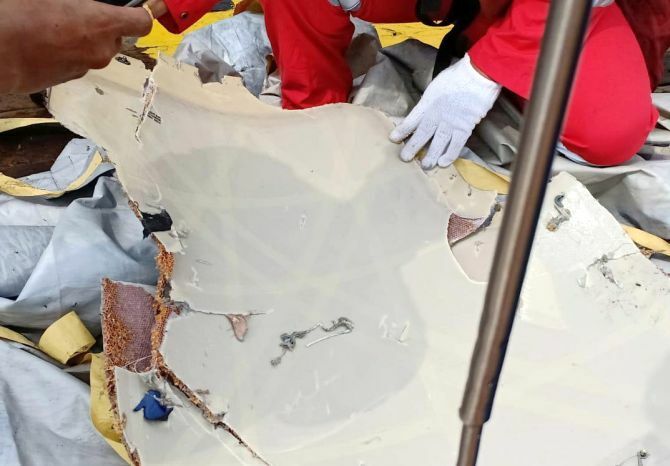 There was no sign of any survivors from Lion Air flight JT610, an almost new Boeing 737 MAX 8, and rescue officials said later on Monday they had recovered some human remains from the crash site, about 15 km (9 miles) off the coast. 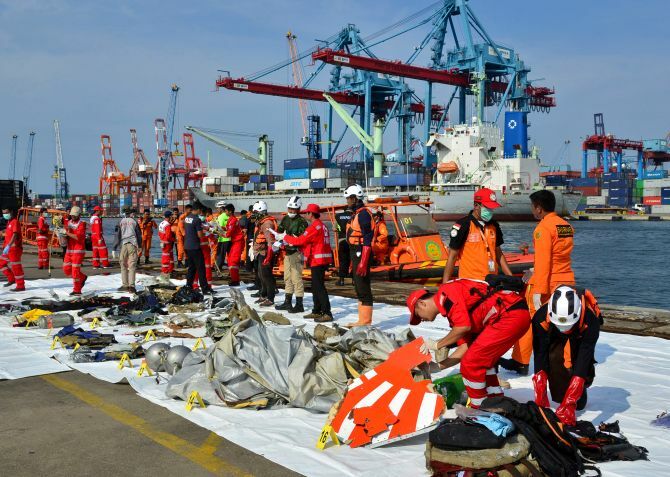 The Lion Air flight JT 610 was carrying 181 passengers, as well as six crew members and two pilots, when it disappeared from radar during a short flight from Jakarta to Pangkal Pinang on Monday morning, according to Indonesia’s National Search and Rescue Agency. 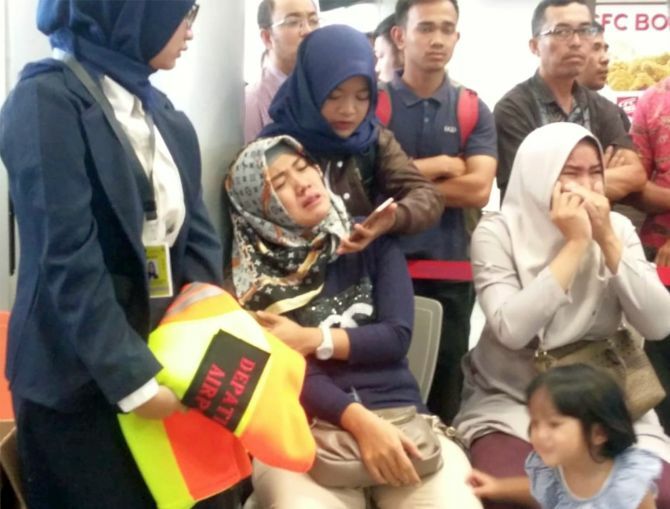 The plane took off from Soekarno-Hatta International Airport in Tangerang, Greater Jakarta at 6.21 am (local time), and had been due to land around 7:30 am (local time) in Pangkal Pinan, the largest city on the Indonesian island of Bangka. The plane lost contact with ground officials shortly after its pilot had asked to turn back to base, about 13 minutes after it took off, officials said. Rescuers have recovered body parts from the sea. The have also recovered some remains of the plane. Items believed to belong to passengers have also been found in the water, including ID cards and driver's licences. 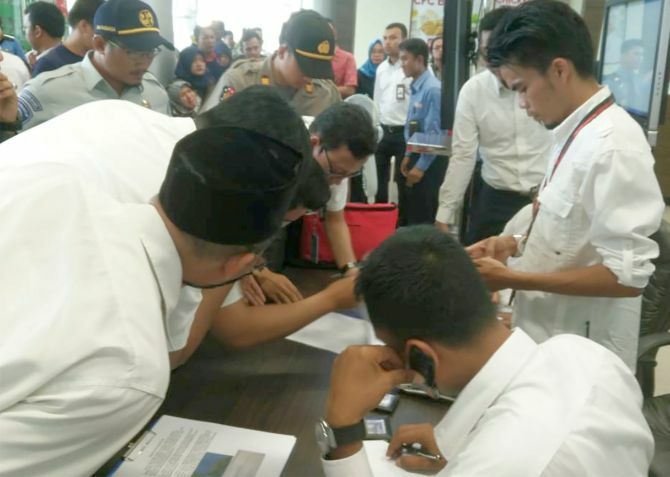 Lion Air’s President Edward Sirait said the plane was “airworthy” and that the pilot had carried out all pre-flight inspections according to procedure. 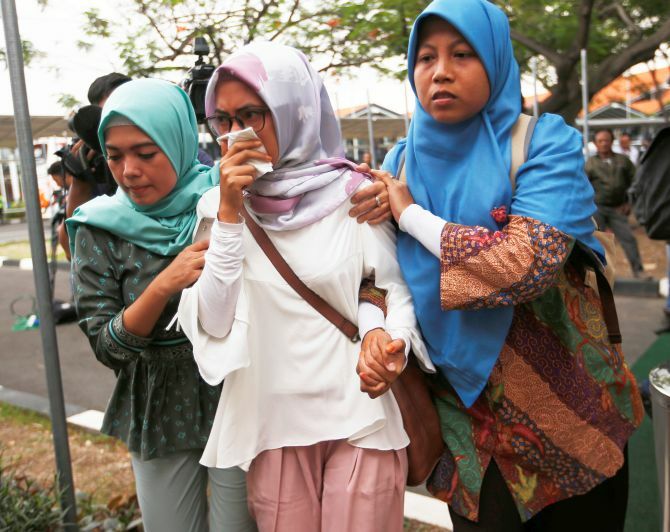 Speaking to reporters at Lion Air’s headquarters in Jakarta, Sirait said the pilots had passed mandatory drug screening. 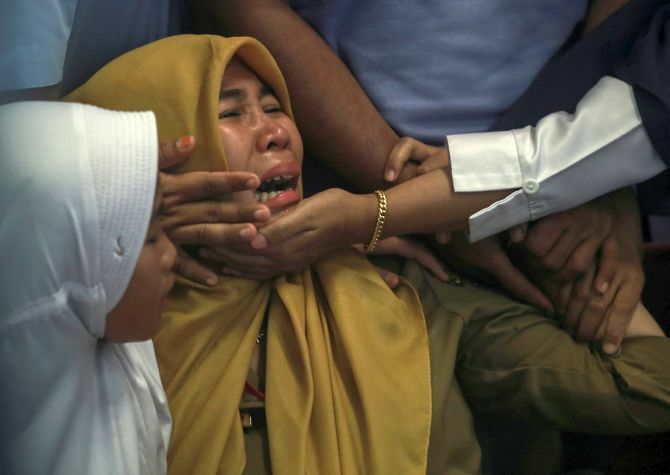 Indonesia’s President Joko Widodo told a news conference authorities were focusing on the search and rescue, and he called for the country’s prayers and support. He also ordered the National Commission for Transport Safety to investigate the crash. Under international rules, the United States National Transportation Safety Board will automatically assist with the inquiry into Monday’s crash, backed up by technical advisers from Boeing and US-French engine maker CFM International, co-owned by General Electric and Safran. Boeing, the manufacturer of the aircraft, released a statement saying the company was “deeply saddened” by the loss of flight JT 610. The 737 MAX 8 is one of the latest versions of a jet that was introduced in 1967. More than 10,000 737s have been produced, making it the best-selling jetliner of all time.